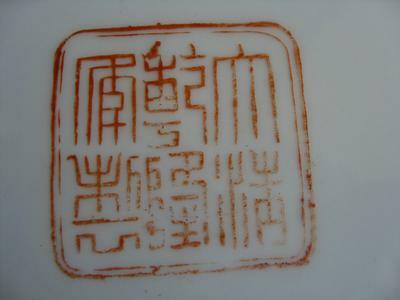 I know the QianLong mark is not from the period. There is a small chipped paint as you can see from the pictures. Just wanted to confirm if that is a recent place. 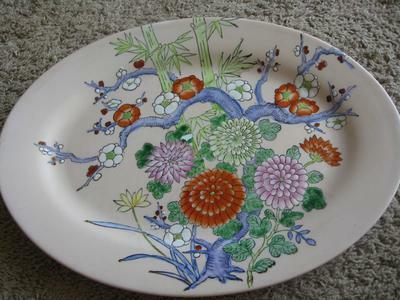 Comments for Oval Chinese Enamel Plate - recent? Yes, this is recent, factory made, handpainted. 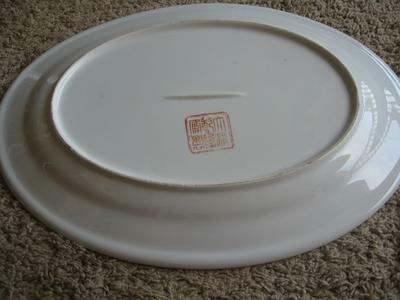 Has a spurious Qianlong mark. 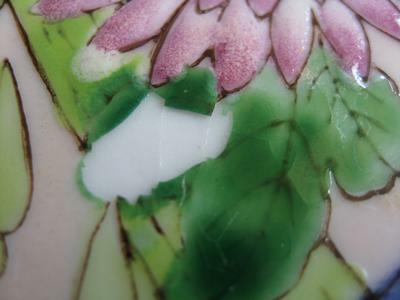 The decoration looks as if it was made for the Japanese market.